La Grotta excels in serving lunch and dinner parties as well. Owner-chef Antonio and his manager-wife Andrea will work closely with you to ensure that your party will experience a special and memorable wedding rehearsal dinner or other corporate or family event in our charming wine cellar or other dining rooms. Learn more about hosting your event with us. Owner-Chef Antonio Capece was born in Potenza, Italy. At the age of 15, driven by his passion for fine cuisine, he attended Impass Culinary School and then launched his career working at Italian resorts. Antonio moved to the United States in 1981, working at top Italian restaurants Tiberio, il Giardino and Terrazza in Washington, DC. In 1987, he opened his first restaurant, Otto Scalini, on K Street in Washington, and it was a resounding success. In 1991, tired of the D.C. traffic and in search of a great place where he and his wife, Andrea, could raise their family, Antonio moved to Richmond, Virginia and opened his first venture, Amici Ristorante in Carytown. At the urging of Amici’s loyal patrons, in 1994, they next opened La Grotta in historic Shockoe Slip. 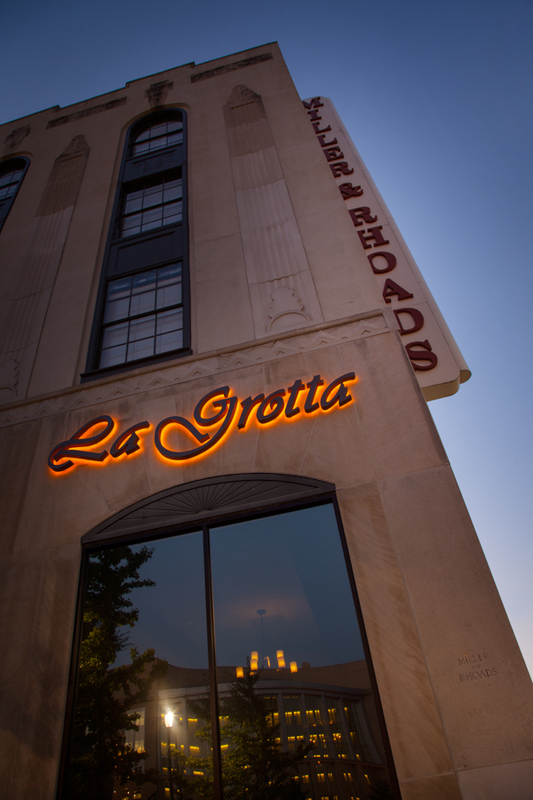 Continuing in the great tradition of opening restaurants in neighborhoods on the rise, in 2016, La Grotta moved to the historic Miller & Rhoads building, right in the middle of the downtown restaurant corridor. Chef Antonio operates La Grotta with his wife and business partner, Andrea Capece. Chef Antonio continues to follow his passion for classic Italian cooking and runs the back of the house, hand making pastas, baking breads, and ensuring that the Northern Italian dishes he loves to create are delicious and creative. Andrea keeps the customers and private dining clients well served in the front of the house.